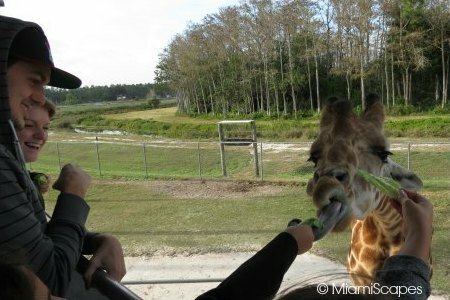 Lion Country Safari is mostly known for its Drive-Through feature, the "Safari on Wheels" where the animals roam freely and you drive and observe from your car. 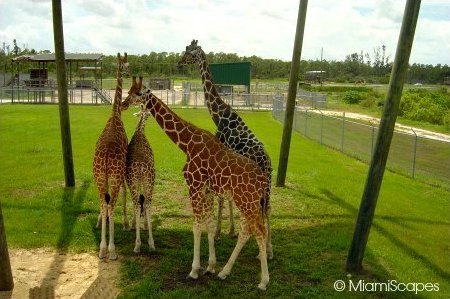 The "Walk-Through" part of the Safari or the "Amusement Park" is often overlooked, but it has so much on offer, you really need to plan on making the time for it at the end of your drive-through. 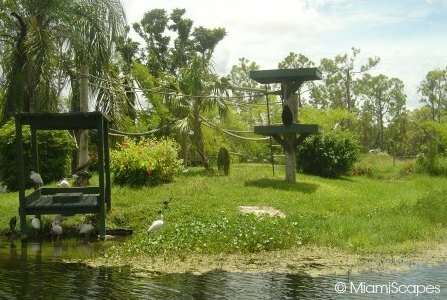 Every time we visit we find new features and attractions being added. 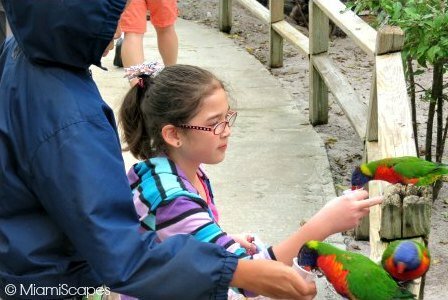 There are rides for the little ones, petting zoos, mini-golf, shows, boat rides, camel rides and our favorite activities, giraffe feeding and lory feeding. 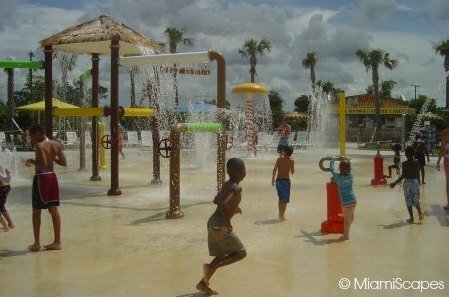 In the warmer months, there is a great splash park, water slides and all. 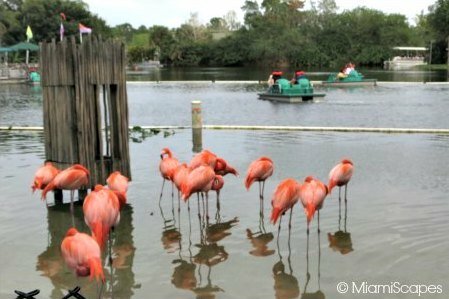 In keeping with the theme, the Amusement Park is a beautifully landscaped, and showcases many animals as well. Shows and animal presentations really add to the experience. 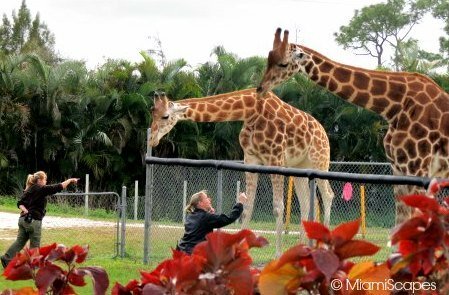 You can learn a lot about animal behavior and observe as trainers interact with some really amazing animals. 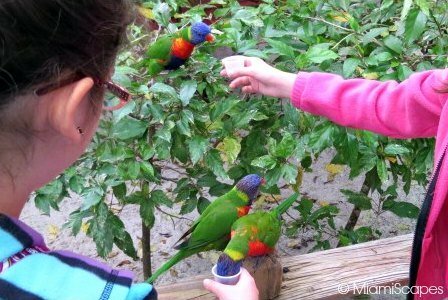 And we could never leave without stopping by the Budgy Aviary where you can get little cups of nectar to feed the lories for $1. It really is a fantastic experience, such beautiful colorful birds! And finally, a total hit during the summer months is the splash area and water park, it makes for the perfect ending, don't forget to bring a towel and change of clothes!